PlumbingProblem?We can help you 24/7! Delivering 24/7 plumbing services for home owners and businesses in select Maine & New Hampshire areas. 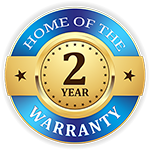 Our commitment to you at First Response Plumbing and Drain, LLC is to act with professionalism and integrity, while providing quality customer service. We strive to achieve this goal with a team of highly qualified individuals who are skilled and trained in their respective fields, and to provide the best plumbing services possible. Whether it’s answering the telephone, plumbing repairs, or installing a new energy-efficient heating system, First Response brings over 12 years of experience to the table in all aspects of the plumbing and the drain cleaning field. Need a plumber? We can resolve all of your plumbing services and drain cleaning needs, or we know someone that can. Whether you have frozen pipes at 2AM or your looking for an estimate on that bathroom that you’ve always wanted we want to be your First Response! We offer plumbing and drain services and solutions for every type of issue – from common clogs to a full mainline replacement. Browse our job listings, including openings in full time and part time. I just want to thank you for the great service we received on the water heater install at 41 Buckingham Dr. I also want to thank you for taking time to send the rebate, it was an unexpected surprise. I own two rental properties in the Mount Washington Valley. When I first came to the area I found it very difficult to find contractors including Plumbers who were reliable or even willing to take on jobs that I had for them. That is until I came across Frank of First Response Plumbing. From the very first job Frank did for me I have been nothing but ecstatic about his prompt service for emergency repairs, upgrades, or general maintenance. I strongly recommend First Response Plumbing for all your plumbing needs as long as Frank is not doing work for you when I need him. My husband & I want to express our deepest gratitude for the service call you made on September 12th. We appreciate your 24 hour service deeply, as we were half way through retreat with Miranda Macpherson ( for 32 people!! ) when our kitchen sink plugged. We also commend you for your timely response,your professional skills,and most importantly your gentle and kind manner and willingness to stay until our problem was resolved. Have a private well, then water quality testing should be important to you!